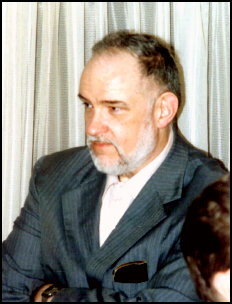 Robert E. Briney, Jr., was active in Chicago fandom in the 1950s and 60s, Briney was one of the founding partners of Advent:Publishers but by the late 60s, had moved East. He had a PhD from MIT (he claimed that he recovered from his orals by reading nearly all the novels of John Dickson Carr in less than a month) In mundane life he became a professor at Salem State College in Salem, MA, in 1968, founded the Computer Science department there in 1975, and taught there for the rest of his life. He edited the 1953 anthology Shanadu for SSR Publications (of which he was a partner) and co-edited the 1972 reference work SF Bibliographies: An Annotated Bibliography of Bibliographical Works on Science Fiction and Fantasy Fiction. 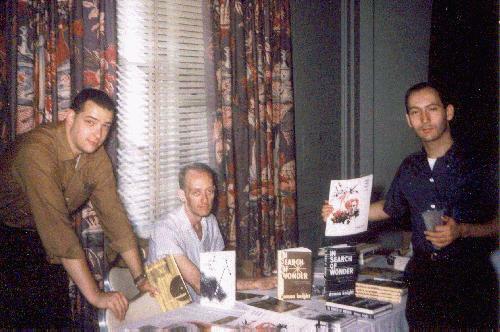 Briney also published the fanzine Contact Is Not a Verb from 1980 through 2006 and provided the bibliography for the one-shot Jack Vance -- Science Fiction Stylist. Along with Del Close, he published the sf/f poetry fanzine Cataclysm. He published The Rohmer Review about the works of Sax Rohmer. Bob Briney, Earl Kemp and Joe Sarno at the Advent huckster table in 1960 during Pittcon. From fanac.org.